The Method is one of the most successful acting techniques ever invented. 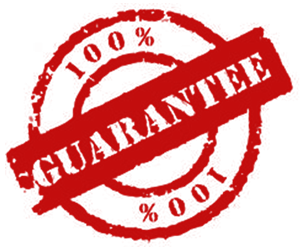 It is used by many of the worlds greatest actors, including Al Pacino, Robert De Niro, Jack Nicholson, Angelina Jolie, Scarlett Johansson and Mickey Rourke, to name but a few. Despite its success there has been very few books written that give a practical step-by-step guide on how to learn and use the technique for yourself…until now. The Ultimate Guide to Method Acting takes you through the exercises and practical techniques used by the world’s greatest Method actors to achieve outstanding acting. Here is what’s included in the book. It will become your ‘Method acting Bible’ and it’s only £15.99! Brian Timoney is one of the world’s leading Method acting coaches, and the founder of the acclaimed Brian Timoney Actors Studio. and theatre and has worked with leading UK film directors Ken Loach Danny Boyle. At his studios in London and Los Angeles he and his team are dedicated to training aspiring actors in the Method and give them the skills to navigate the business of acting to create career success. Brian doesn’t treat the subject in academic terms; everything is presented in the context of the working actor or for the aspiring actor who wants to get into the profession. This allows the reader to focus their time on the things that matter and which will get them where the need to go without any wasteful dead ends. Brian is not one for flannel and yet at the same time describes each aspect of method with a sincere love and faith which the reader will find infectious. These things combine to make this book unique in its field. It’s easy to read and fundamentally useful. If you want to know about Method – buy this book. If you want to add Method to your repertoire – buy this book. If you want to understand how to get into the acting profession – buy this book. It reads as if Brian was actually there with you. So if you haven’t yet done one of Brian’s courses, it’s a true reflection of Brian’s knowledge and understanding of Method acting. It is an extremely readable, practical guide to Method Acting. This will definitely be my “go to” book to reference anything I need to develop my own instrument. The different sections build to become a complete toolkit you can dip into again and again. If this doesn’t whet your appetite for Method acting, then I don’t know what will! 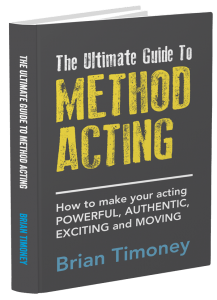 An essential guide to method acting composed by a wise and uniquely talented acting coach, Brian Timoney. It is a joy to read, the language is very easy to follow so I’m not constantly having to re-read sections in order to understand what I’ve literally just read. Secondly, it breaks down the method process in one handy book and contains the exercises to be carried out along with explanations on why each exercise is useful. Thirdly, the book is filled with examples and references which is a very clever way of encoding what you’re reading into your brain without having to think about it; it also helps your understanding of how the exercises work. Finally, what I loved most about the book is that after months and months of uncertainty and having to piece together ideas from various sources, it offers me a specific step-by-step process on how to approach a role when you first begin. It has given me the tools to then go off and immerse myself in my character’s world with all the right questions to ask and approaches to take – which is all I can ask for as a method actor! Method acting requires endless hours of intense research and it is often daunting when you don’t know where to start. This book offers a step-by step-guide on where to start AND how to put into practice all the research you have done for the role. It’s dead simple: read The Ultimate Guide To Method Acting and if at the end of it you don’t think it’s the most powerful book on acting you’ve ever read, just drop me an email and I’ll refund all your money… and you don’t even have to send it back to me. The Ultimate Guide to Method Acting it is a transformational book. It covers everything that the actor needs to know about Method Acting. It guides you all the way through from your first steps in Method Acting till you reach the professional level. It is written with passion in a simple, clear way for everyone to understand and it keeps you awake from beginning till the end. I will consider it as my bible for my Acting career. One of the things I value in life is time and I will read this book again and again feeling that I am investing my time wisely! It was very easy to read and full of insightful hints and tips. It is a great guide and I'm sure it will continue to help me through my acting career. Definitely a book I'll keep coming back to. I read it on the plane, sun lounger and on a boat. I devoured every morsel and practiced my way through many of the exercises. A great reference book for all aspiring actors ready to be inspired.